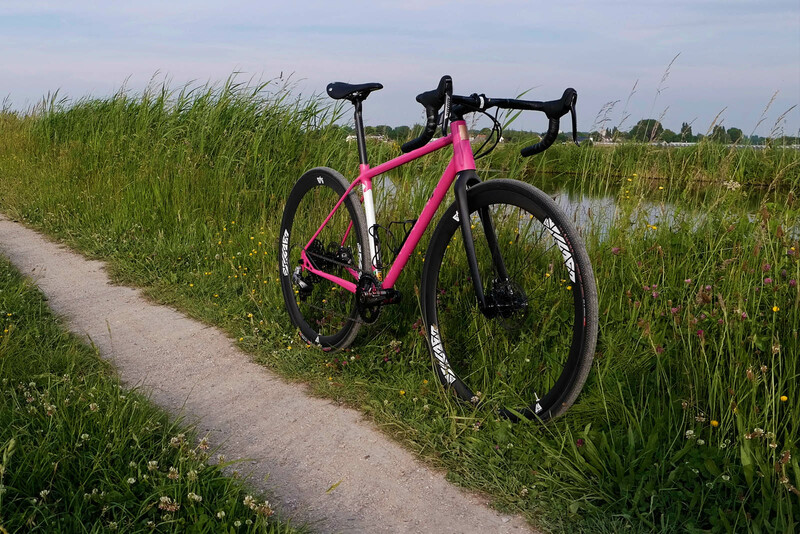 Andor was looking for a gravelgrinder with an attitude, for long trainingsrides in the Brabant area, both on as off road. 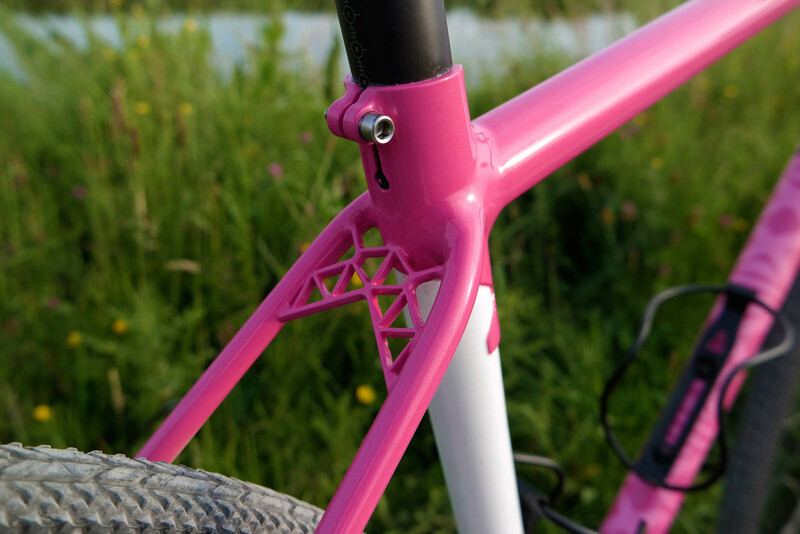 He wanted a frame that gave him comfort but was also stiff enough to trow around. 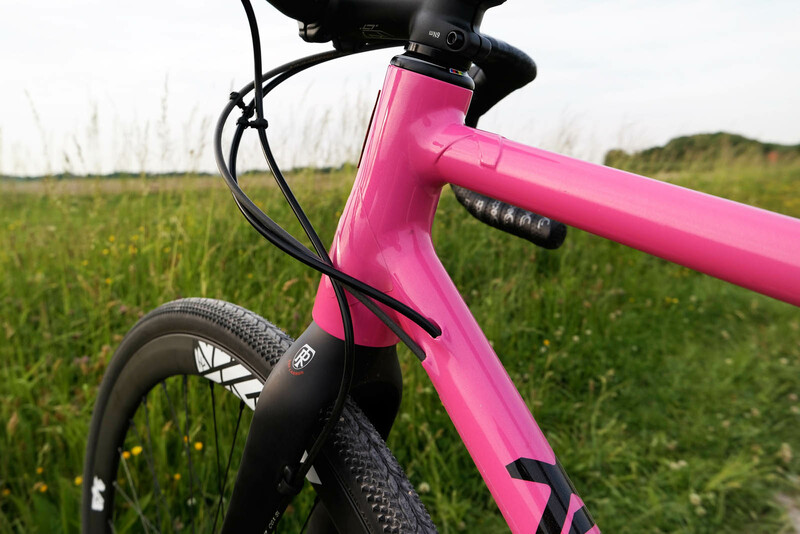 The mainframe is built with Reynolds 853, a tapered headtube and the seattube is reinforced. 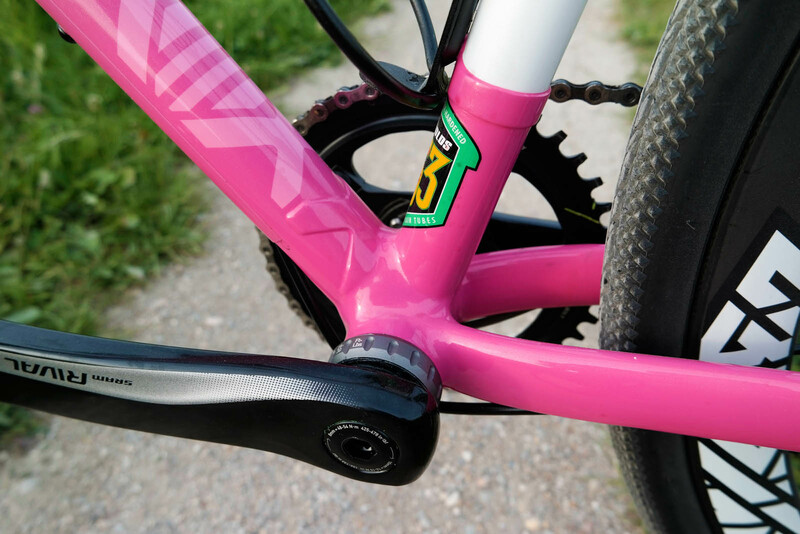 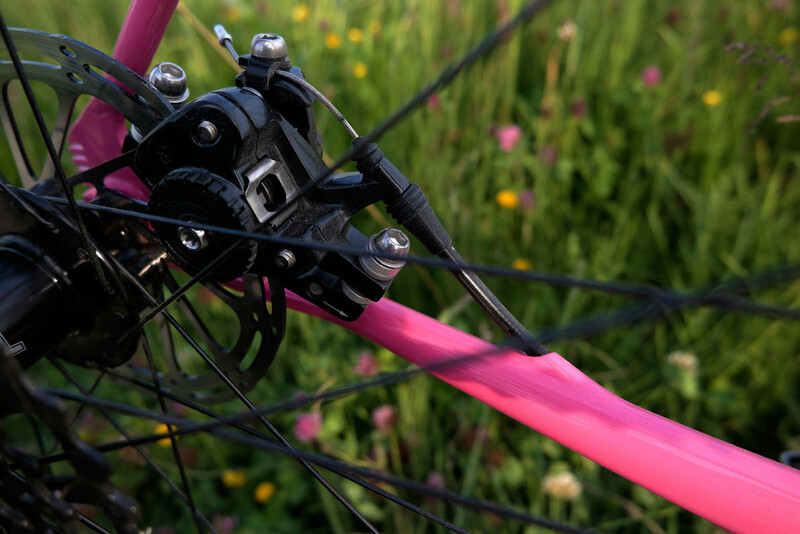 The long thin seatstays dampen vibrations and end in custom dropouts. 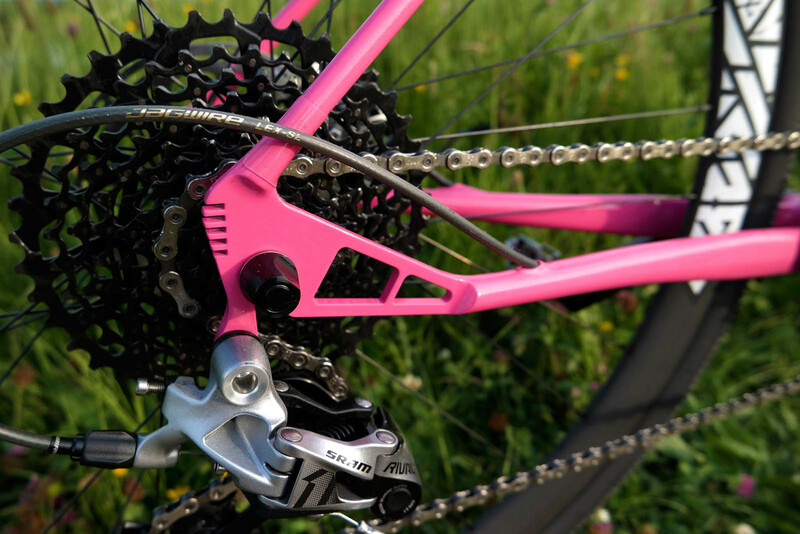 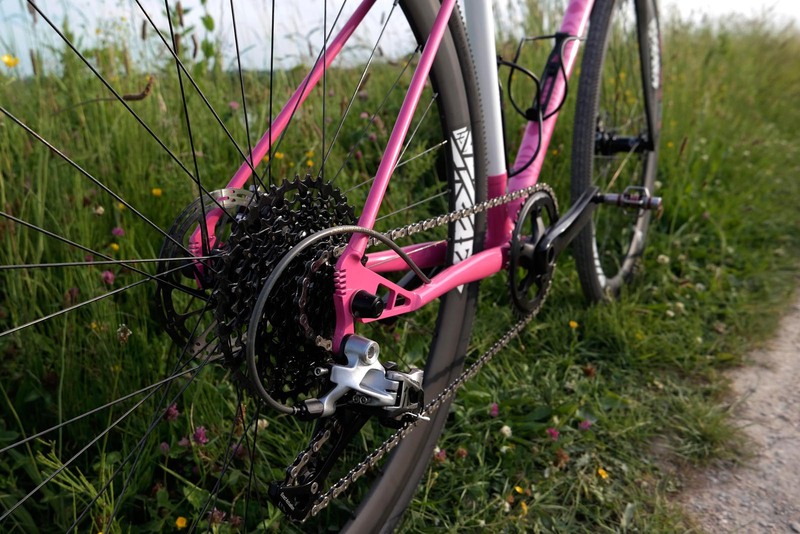 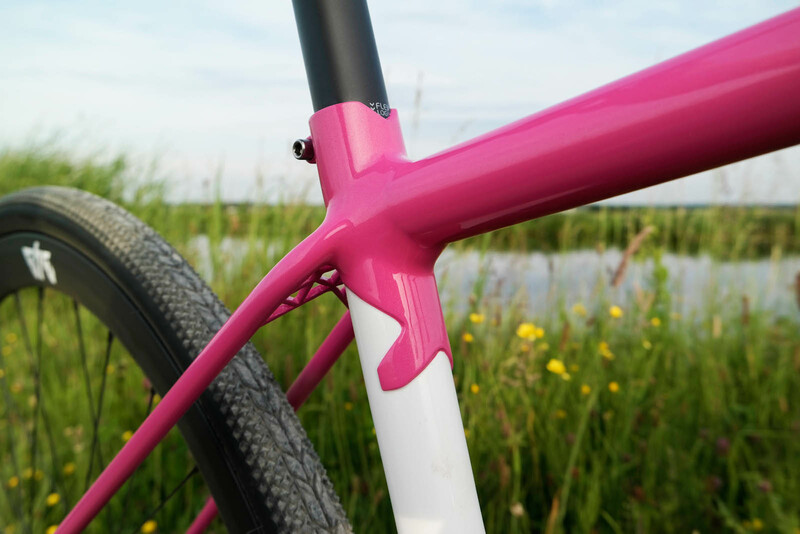 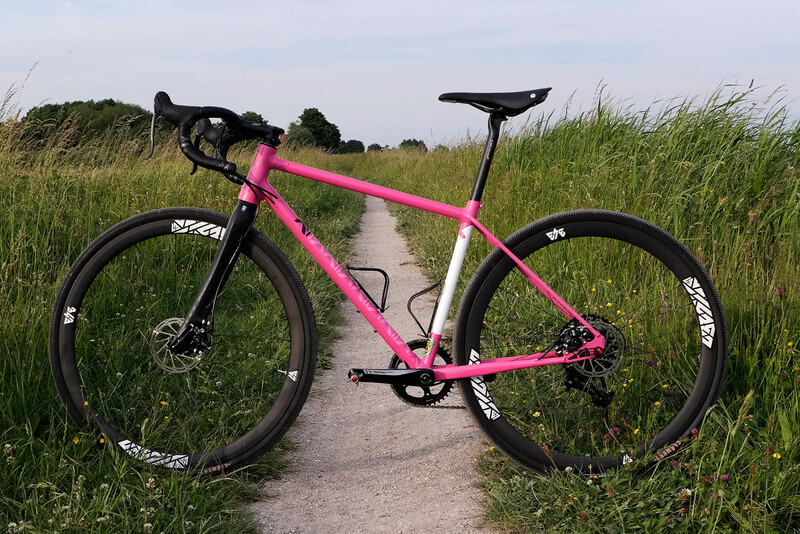 Nicolor painted the bike in a spectacular metallic pink and the bike is outfitted with a top spec. 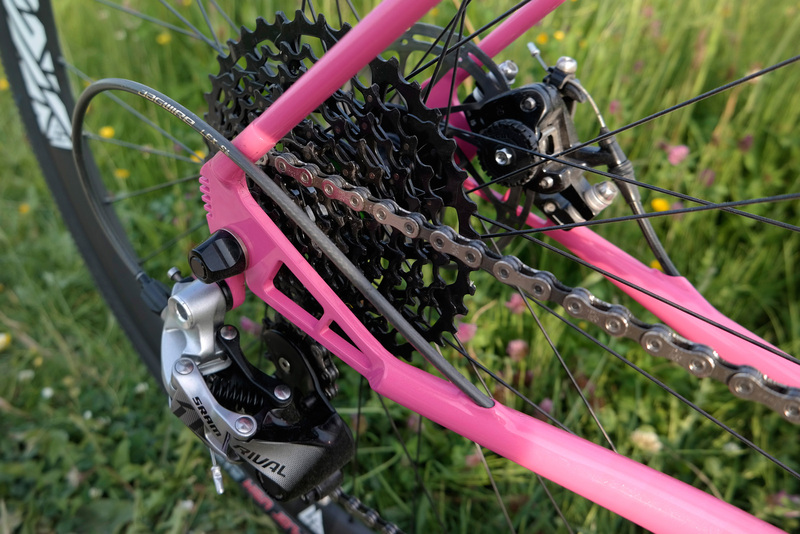 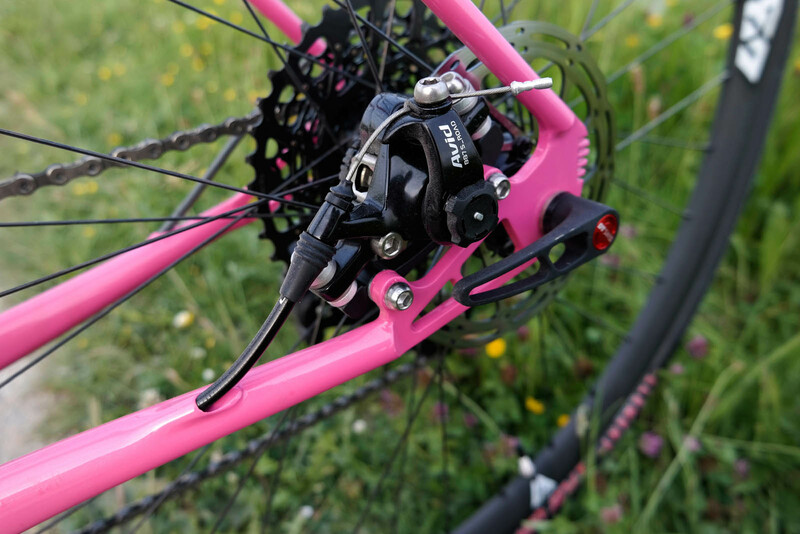 Aside the SRAM rival 1×11 drivetrain with BB7 brakes it is clad with carbon Ritcheys parts and carbon wheels.